Shellfish may not talk in the traditional sense but a new research program would look to harness their responses to the environment to better track manned and unmanned undersea vehicles. A new program launched by the agency that brings you stealth technology is looking to use living sea creatures, from mollusks and crustaceans to certain types of fish, as part of a sensor network to monitor what threats to U.S. naval vessels are lurking beneath the waves. But DARPA made clear that not every creature will be studied, specifically those who are protected or on endangered lists such as many sea-dwelling mammals. “DARPA expressly forbids the inclusion of endangered species and intelligent mammals, such as dolphins and whales, from researchers' proposals on the PALS program,” said Jared Adams, DARPA spokesman. The Persistent Aquatic Living Sensors, or PALS, program will “study natural and modified organisms to determine which ones could best support sensor systems that detect the movement of manned and unmanned underwater vehicles,” according to the Defense Advanced Research Projects Agency website. Defense Advanced Research Projects Agency (DARPA) is looking to revolutionizing battlefield communications by introducing a new project that seeks to bridge gaps in current military communications capabilities. The program, run by Lori Adornato in the DARPA Biotech Office, will study the responses of living organisms in the ocean to vehicles, and use a network of hardware devices to relay, capture and interpret the data. Current hardware-based ocean sensor systems require a wealth of resources, so they can only be used for specific assets such as an aircraft carrier, Adornato said. “If we can tap into the innate sensing capabilities of living organisms that are ubiquitous in the oceans, we can extend our ability to track adversary activity and do so discreetly, on a persistent basis, and with enough precision to characterize the size and type of adversary vehicles,” Adornato said in the DARPA release. Living organisms could give researchers advantages over hardware, according to the release. They adapt and respond to their environment, and they can sense stimuli such as optical, chemical, tactile, acoustic and electrical, according to the release. DARPA's Cyber Grand Challenge showed how artificial intelligence could give the Defense Department the edge in the ongoing cat-and-mouse network battles. The hardware systems that researchers aim to create will collect data from a 500-meter distance to avoid disturbing the sometimes-delicate environments. “Our ideal scenario for PALS is to leverage a wide range of native marine organisms, with no need to train, house, or modify them in any way, which would open up this type of sensing to many locations,” Adornato said. But, researchers will leave open opportunities to “tune organisms’ reporting mechanisms” while using appropriate environmental safeguards, according to DARPA. Those with ideas for how to begin this living sensor research project will have a chance to share ideas this week at a “Proposer’s Day” event in Arlington, Virginia. 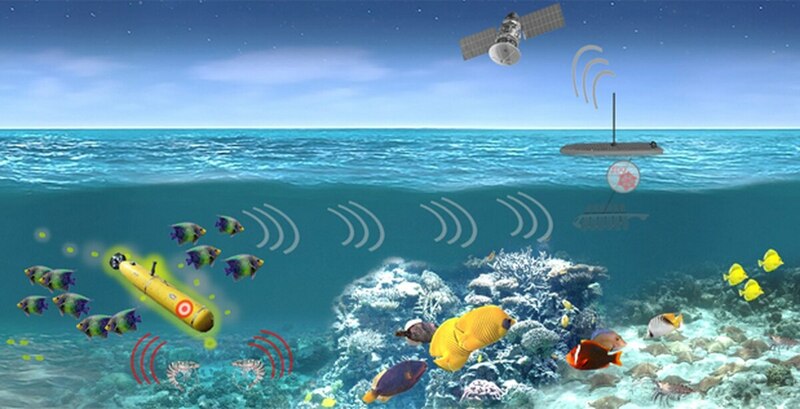 In early January, DARPA held a similar exhibition, launching a program that would create an “Ocean of Things” sensor project that seeks to create environmentally-safe sensors to deploy in strategically sensitive areas of the ocean.